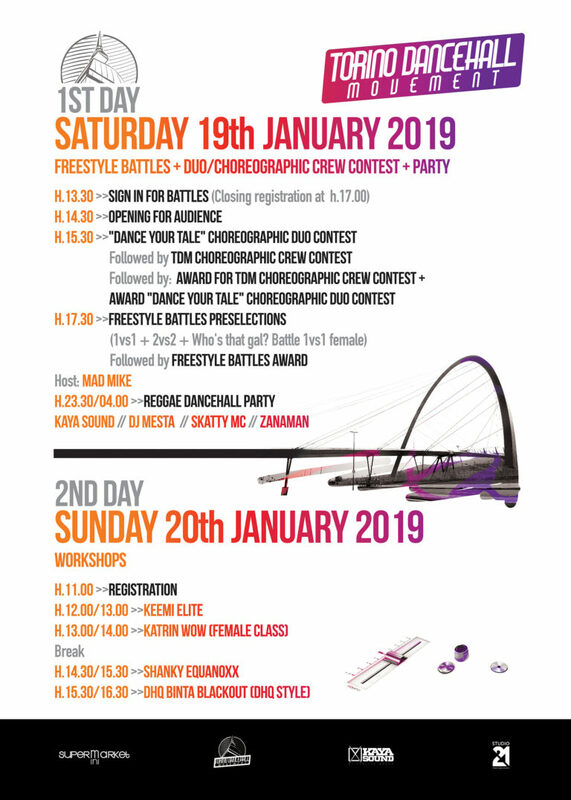 SAVE THE DATES & Stay Tuned! 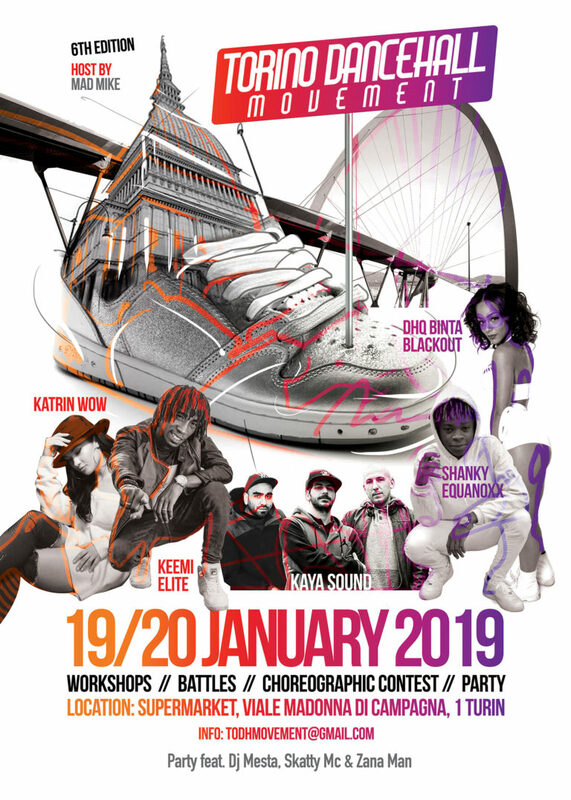 REGISTRATIONS OPEN NEXT WEEK! 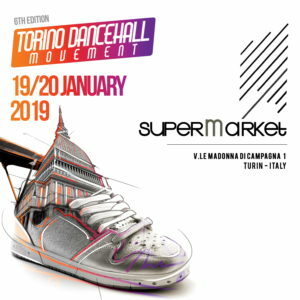 you will find her in Turin 19th/20st January 2019 at the 6th edition of #TORINODANCEHALLMOVEMENT with a super special dancehall female class and as a judge for freestyle battles and coreographic contest. 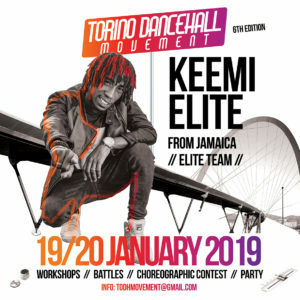 you will find him in Turin 19th/20th January 2019 at the 6th edition of #TORINODANCEHALLMOVEMENT with a “UNIQUE” class and as a judge for freestyle battles and coreographic contest. 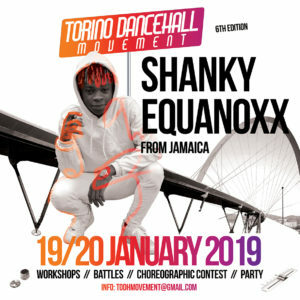 one of the founder of he famous crew BLACKOUT EMPIRE 🔝🔝🔝🔝🔝🔝🔝 you will find her in Turin 20th/21st January 2019 at the 6th edition of #TORINODANCEHALLMOVEMENT with a super special dancehall queen style class and as a judge for freestyle battles and coreographic contest. Saturday 19th January from 23 pm to 4 am it’s all about the PARTY !! 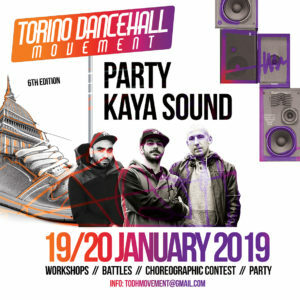 Music by the resident sound of Torino Dancehall Movement, directly from the best parties in town : KAYA SOUND ! !